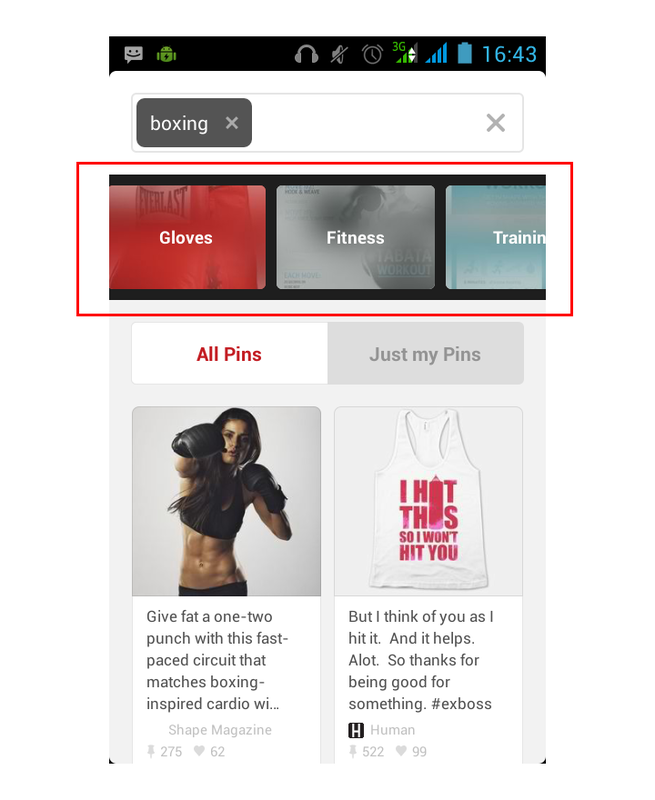 Pinterest's Guided Search: What Does it Mean for Brands? Last week, Pinterest announced a new feature that makes it easier for mobile users to find user-provided pins on their platform. Through Guided Search, users can discover pins that may interest them even though they did not directly search for it. They’ve rolled out this new feature on mobile in English. According to their announcement, you can expect this feature to roll out on the desktop version and around the world soon. Guided Search isn’t a new concept in search engine optimization – it uses the concept of contextual search. Google has been talking about this for a long time, and is using it in Google Now. Pinterest has integrated it into social media, giving their users personalized search results and anticipating their interests as they search more user-provided pins. This new feature affects your clients in such a way that may help or harm their campaigns on Pinterest. Since Guided Search pulls data other than the exact search to determine what a user might want to see, if they explore pins using the feature, brands that these users don’t follow may be disregarded depending on the search. There is a way to ensure this doesn’t happen: making sure your pins are optimized with keywords and categories that you are targeting. The good news is we’re already doing this for all our partners, and it is part of both our SEO and social media methodologies. Talk to your account manager today to learn more about our process. If you’re not yet our partner, sign up to become our partner and get started. Keep checking back for more updates!